The Battle of Jutland, fought on 31st May 1916, was meant to be the decisive naval battle that would decide the outcome of the war. Instead it was a bloody but indecisive affair – a disappointment to both sides. The Royal Navy was denied victory thanks to a combination of factors, from superior German ship design to the lack of initiative of British captains. In fact the Germans even claimed it to be a victory, as they sank more ships and killed more men than their British opponents. For the participants of both sides this was their big opportunity. While their comrades had been dying in Flanders they had been preparing for this one great moment. They were prepared to give their all – and many did. This book tells the story of the battle through their eyes. 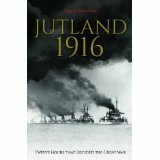 Much has been written about the Battle of Jutland, usually in an attempt to claim victory for one side or the other. 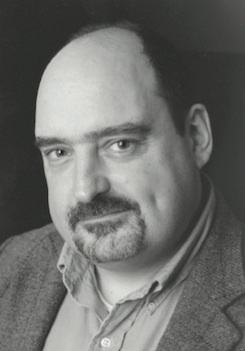 Other books have analysed every salvo and manoeuvre, so the drama of the fighting has been obscured by the detail. This new book - produced to commemorate the centenary of the battle – will take a fresh approach. It will draw on the experiences of the men who fought at Jutland, giving equal weight to both sides. The book will attempt to capture the sweeping drama and sense of import these men experienced as they engaged the enemy. This is a book about ordinary people, bound together into ships companies, and called upon to play a part in extraordinary events. Rather unusually it begins with the aftermath of the fighting, when the Germans claimed victory even before the British Grand Fleet had returned to port. This news broke upon the British public like a bombshell. The Royal Navy had a tradition of victory, and anything less was seen as a betrayal of national trust. It almost cost Admiral Jellicoe his career – the bloodbath of the Somme came just in time to spare him further public censure. The book explains just how this played out – and then goes on to examine the battle itself, letting the reader judge for themselves which side – if any – emerged victorious. Above all it will provide a fresh look at the battle, and at what might have been.